Emilia Wickstead has already been on the fashion scene since 2012, and earlier for those fortunate enough to see her graduate collection at Central Saint Martins. She is a part of the new group of young CSM fashion graduates called the British Fashion Collective, propelled forward by the support from the British Fashion Council aiming to support young designers in what can only be called the ‘business of fashion’, where starting out without support is incredibly difficult. Her French-esque aesthetic and clean lines brought a young, fashionable clientele who still wanted to stay professional and ‘chic’. She now has brought on a loyal following of clients (including Kate Middleton, the most fashionably classic fashion icon), and a regular spot on the London Fashion Week schedule. Previously, the designer focused on creating an atelier and made-to-measure service, and now her influence has spread so much that her collections are stocked in the Net-a-Porter online boutique, Selfridges, Matches and multiple others. Her designs are feminine and simple, with great fabric printing innovations, a unique feature of those most recent CSM graduates. 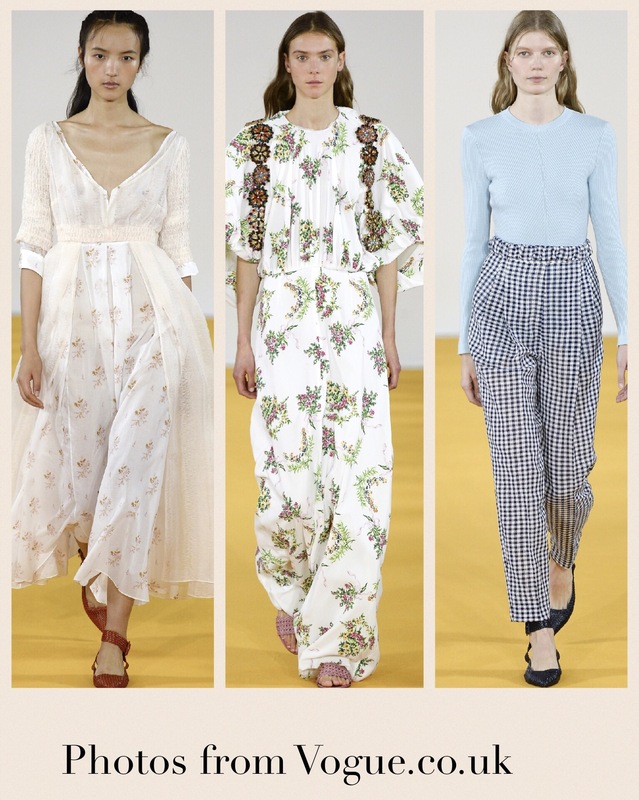 Her most recent collection for the Spring/Summer 2017 season has been inspired by Brazil in the 70’s and how the restrictive Catholic lifestyles meant that young people couldn’t experience the first flush of love privately, resorting to the popular ‘love hotels’ that had originated in Japan (and are still very popular today). Nowadays those structures in Brazil have either turned been turned into regular hotels catering to the flocks of tourists that have now left Brazil for the Olympics, or into seedy places that catered to the people looking to hide away in a completely private space. Interestingly enough, Japanese love hotels are now mostly recommended as cheap, private places to spend a day or a couple of hours in, with occasional crazy room interiors, shying away from their original purpose. On the other hand, the designer wanted to focus on creating a collection that reflected that first intimate spark of love, and that was truly shown in the pastel saccharine colours and that contrasted well with the long shapes and light fabrics. Even with this dusty pink focus, there is still that air of frivolity and air through the appearance of the bare-faced models and their bare feet peeking out of the slip on sandals. It actually felt very beachy to me, with the long skirts and plunging empire necklines giving them a more Edwardian feel. Although the designer is known for her dresses, she also included some very flattering gathered waist trousers, paired with a skin tight light knit, echoing those that nearly everyone throws on their salty skin after a long day at the beach. The pale prints did not distract from the very pale colour palette. The only large print was featured on one of the longer dresses, and echoes a Kusama-style multi-colour dot pattern, with a skirt that skimmed the ankles. With her focus on wearable fashion that looks effortless when worn (due to the tailoring of the garments) the girly French riviera theme is retained and the collection all together is both signature (with its long dresses and chic colour pairings) and bold, with its focus on love and wearability.